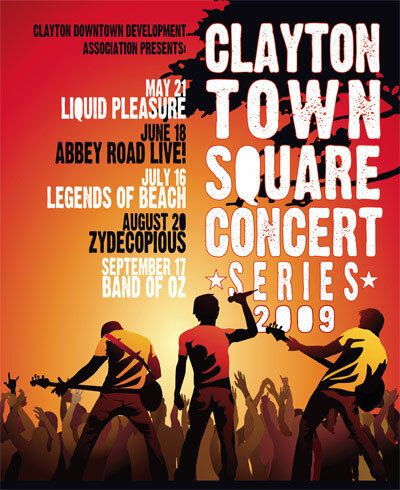 For the past 2 years the Town of Clayton Downtown Development Association has sponsored a downtown summer concert series featuring regional bands. 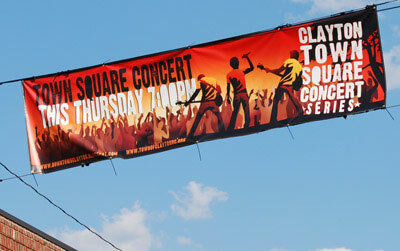 The free concerts take place at the park in downtown Clayton, on Thursday evenings, beginning at 7:00pm. Raleigh graphic design firm Killer Creative Group was asked to design an image and promotions for the concert series, including a logo design, poster design, banner design, t-shirt design, and a postcard design. June 18, Abbey Road Live!